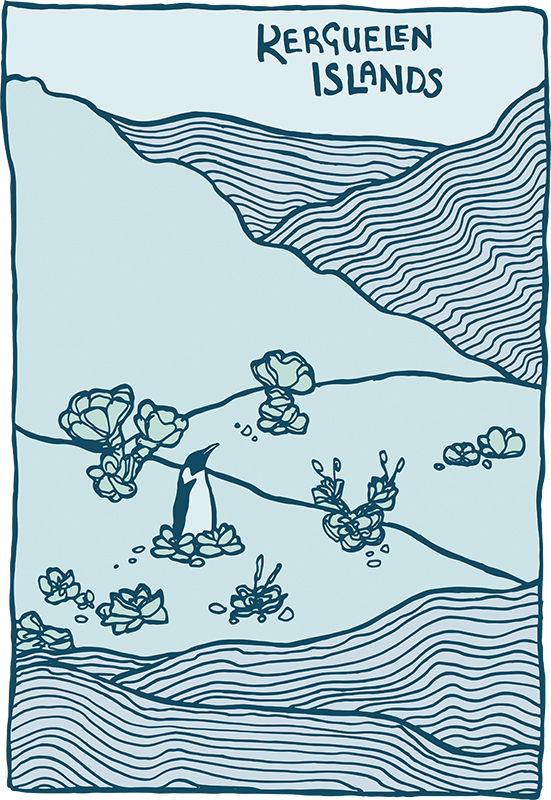 I’ve done some prints of this picture I drew of the Kerguëlen Islands off the coast of Antarctica. Nothing there but penguins, cabbages and the odd french scientist. What could be more delightful? They are available in two sizes- A4 for £7 + postage and A3 for £20 + postage (the small ones will be sent flat, the large rolled into a tube), and are printed on 250 gsm semi-gloss paper with a white border. Available now from the shop.